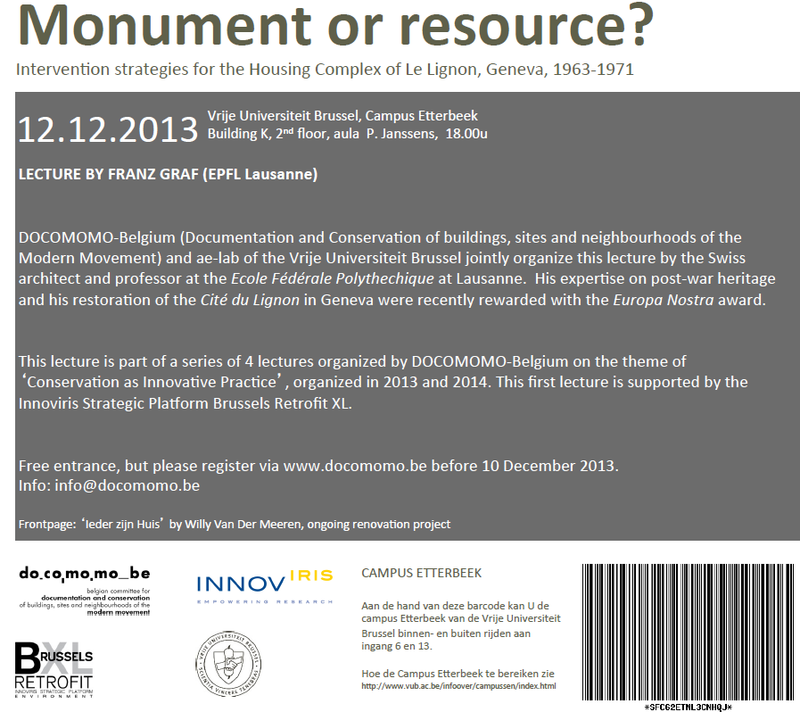 On December 12th, 2013 Swiss architect and professor Franz Graf gives a lecture “Monument or resource” on the ‘Intervention strategies for the Housing Complex of Lignon, Geneva, 1963-1971’. This lecture is part of a series of 4 lectures organized by DOCOMOMO-Belgium on the theme of “Conservation as Innovative Practice”, organized in 2013 and 2014. This first lecture is jointly organized by DOCOMOMO Belgium and ae-lab of the Vrije Universiteit Brussel and supported by the Innoviris Strategic Platform Brussels Retrofit XL.